XMind Ltd. | How to use XMind 8 redeem code? How to use XMind 8 redeem code? 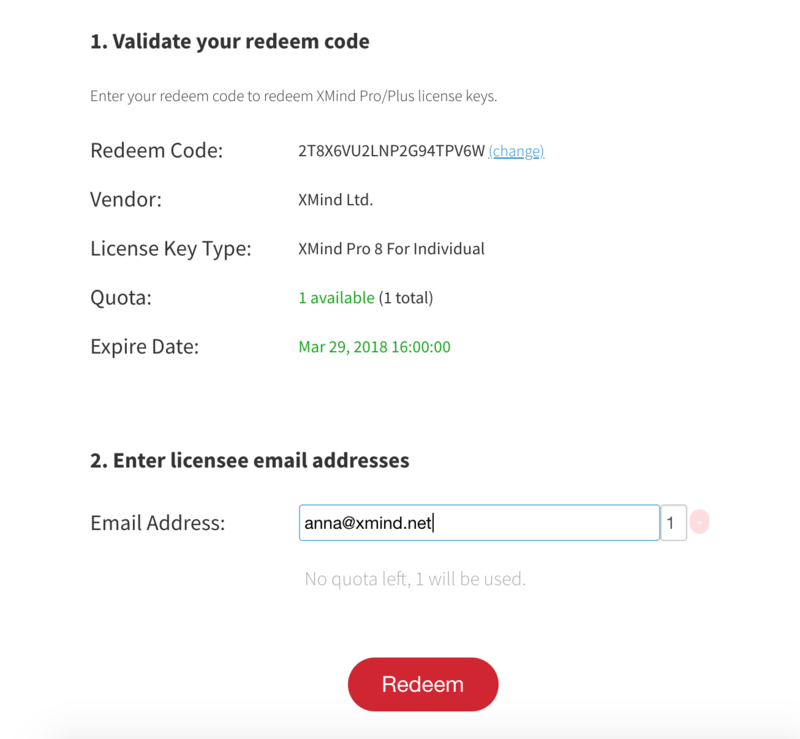 With XMind redeem code, you can create your license keys online directly. The redeem code is 20 digits and contains both letters and numbers. It has an expiration date and can't be redeemed after that date has passed. When prompted, click OK to confirm the redemption. If you have an issue redeeming your code, please feel free to contact us at support@xmind.net.